So, how does this work? The fabulous Literary Webseries Center in California wanders the internet each year looking at literary-inspired web series. Around February each year, they compile a list of the webseries from this genre they feel represent the best the web has to offer and then put that list up for a public vote (that’s where you come in). 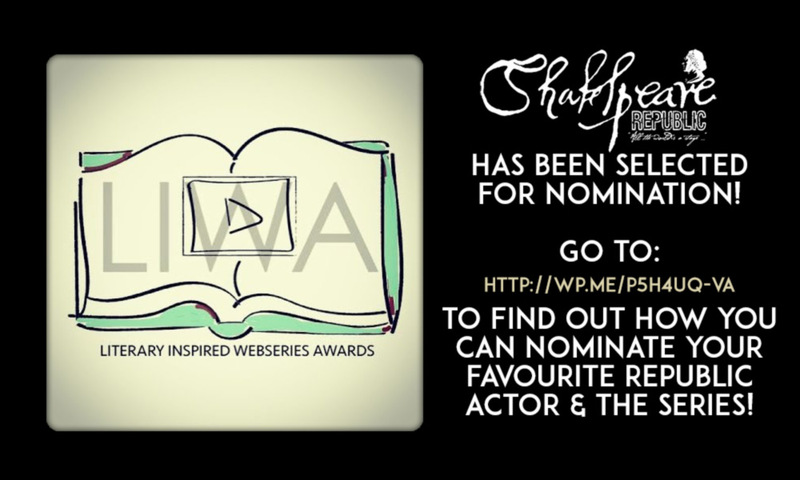 The public have just under a month to cast their votes for their favourite webseries in ten categories. Those votes are tallied and then the top ranking candidates in each category go onto become Nominees in each section. Not long after that the overall winner of each category is announced. 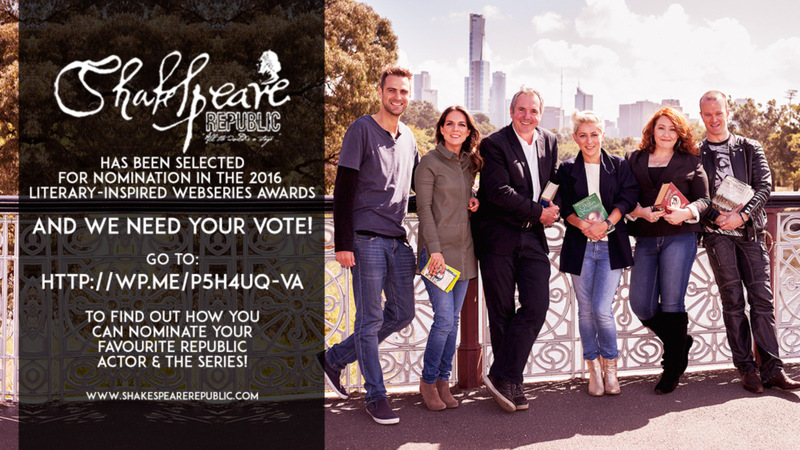 So it comes down to you guys – our amazing Shakespeare community – as to whether we get nominated and for what. There is some SERIOUS competition in the line-up of 46 webseries – including other Shakespeare-related webseries, predominately modern adaptations, modern adaptations of Jekyll and Hyde, the Scarlet Pimpernel, Oscar Wilde, Greek Theatre, and don’t get us started on that Musketeer webseries, because that’s just AMAZING! You can also nominate your favourite Republic actor and actress in the “Best Lead Actor” and “Best Lead Actress” categories, and the whole cast in their “Best Ensemble Cast” category. One vote per person only and voting closes on February 26th. We’d be very grateful for your support! Posted On 04/02/2016 in Project Updates with 0 Comments.Tagged: awards, literary awards, nominations.